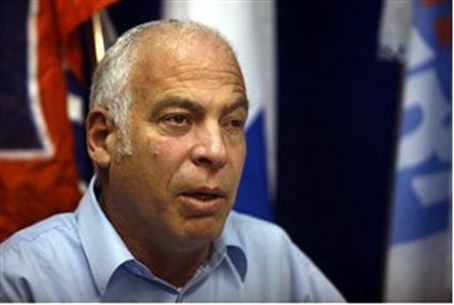 Housing Minister Uri Ariel says his party intends to demand legislation be introduced requiring Arabs to enlist in the army. Housing Minister Uri Ariel (Bayit Yehudi) said on Friday that his party intends to demand that the Perry Committee on Equal Burden of Service also introduce legislation that will require Arabs, not only hareidi-religious Jews, to enlist in the army. His comments come as the Cabinet prepares for a vote Sunday on the Committee's recommendations. "During the discussions on Sunday we will insist on enlistment of minorities no less than that of the hareidi community,” Ariel said. “The reality in which burden-sharing is demanded only of one public and not of another public is inappropriate and unjust, and we demand equality toward everyone," he added. The Bayit Yehudi has also said that it is against the intention to extend the IDF service time for hesder yeshiva students to 24 months. The Yisrael Beytenu party has also indicated that it wants the Committee to address the matter of Arab enlistment, demanding that the necessary budget for enforcing Arab enlistment be included in the bill that the government is set to discuss. Aharonovitch said that for this reason, if the bill is brought before the cabinet for a vote Sunday in its present form, all of the Yisrael Beytenu ministers will vote against it. The Perry Committee on Thursday filed its recommendations with the government. The law proposed by the Committee would allow for up to only 1,800 top yeshiva students to remain fully exempt from service for as long as they were in yeshiva. Others would be drafted at age 18, but can defer service for 3 years. The committee recommended that the changes go into effect 3 years from now. MK Eitan Cabel (Labor) said on Friday that the Committee’s report does not offer real solutions. “Real equality means enlistment at age 18, without deferral and without ‘maybe,’” Cabel wrote on his Facebook page.